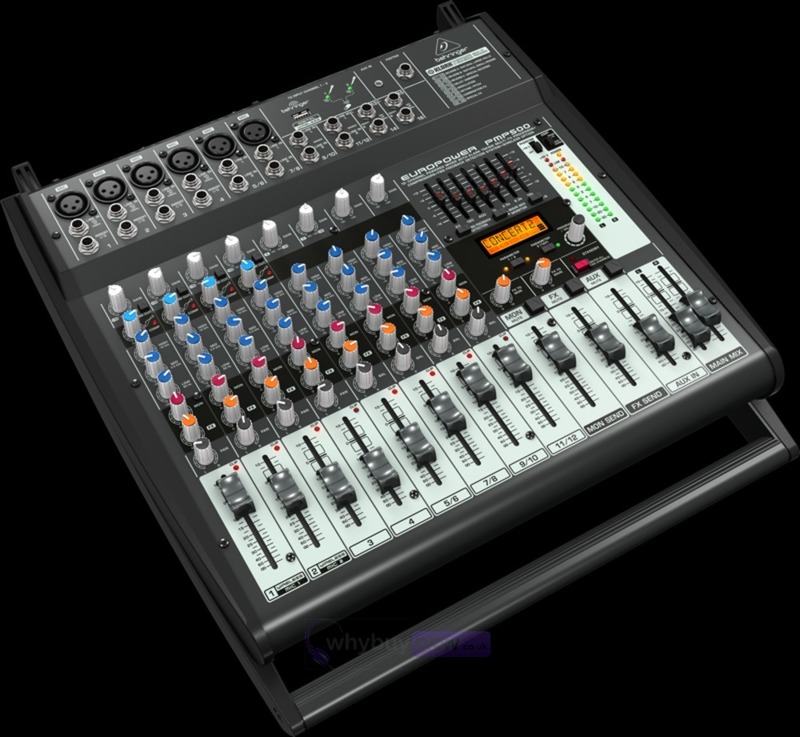 Here we have the Behringer PMP500 mixer in B-Stock. The B-Stock versions would have been on display at a training evening or trade exhibition only and will come boxed 'as new' with the power lead, manual and a 1-year warranty. 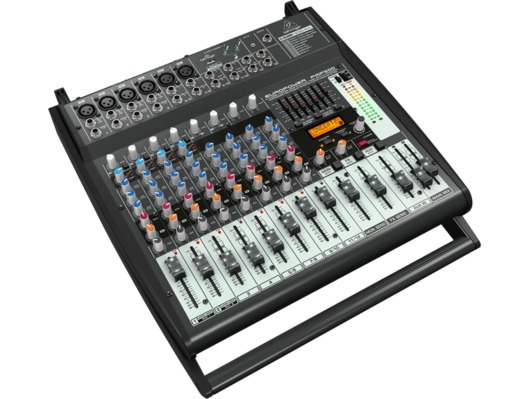 Buy this amazing PMP500 from the UK's largest Behringer dealer with 100% satisfaction guaranteed or your money back! The amazing PMP500 Powered Mixer packs tremendous power (2 x 250 Watts, selectable as stereo or dual mono), while maintaining an incredible power-to-weight ratio. These mixers employ high-efficiency Class-D technology and a state-of-theart switch-mode power supply, which significantly reduces weight and heat. The 12-channel PMP500 features 6 high-quality mic preamps (2 of which also accept our ULM Digital Wireless Microphones, available separately), our "one-knob" compressors, 4 stereo channels, plus 2 additional stereo inputs and 18" Aux Input for the maximum in versatility. To round out this phenomenal feature set, we added a KLARK TEKNIK 24-bit Multi-FX processor with 32 awesome presets, including studio-class reverbs, delays, pitch shifter and various multi-effects with dual-addressable parameters, Tap function and storable user parameter settings - and a 7-band stereo graphic EQ with our proprietary FBQ Feedback Detection System - for the ultimate in feedback-free performance.